The 2015 Dodge Durango is an unyielding SUV that boasts greater capability and improved technology compared to competitors like the 2015 Toyota Highlander, 2015 Chevrolet Traverse, and the 2015 Mazda CX-9. In every way that matters, the Dodge Durango reviews show that it’s in a league of its own. 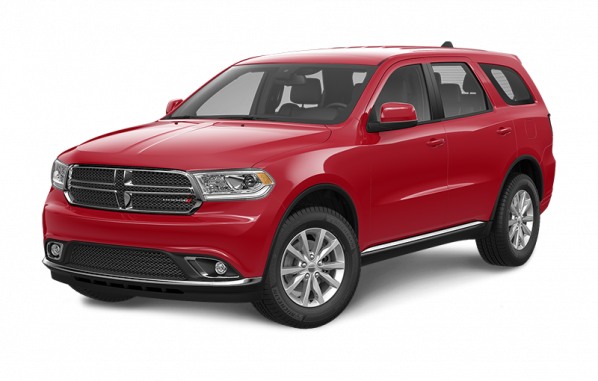 Dodge understands that Indian Head and Melville drivers like to do things their own way, and that’s why the 2015 Durango is available in four trim levels with two available engines. You’ll be able to select between the award-winning 3.6L Pentastar V6 or the mighty power of the 5.7L HEMI V8, each one mated to an 8-speed automatic transmission for sharply refined power. The 2015 Toyota Highlander, 2015 Chevrolet Traverse, and the 2015 Mazda CX-9 don’t provide the same level of choice, with only one engine on offer for each, and not one of them a V8. Highlander: You’ll only be able to fit a 3.5L V6. Traverse: The Chevrolet comes with only a 3.6L V6. CX-9: The Mazda fits a 3.7 L V6. The 2015 Dodge Durango offers two engines to ensure that Indian Head and Melville drivers are able to customize their own blend of power and efficiency, but that doesn’t mean that the standard engine is anything less than extraordinary. Traverse: The Chevy’s 3.6L V6 produces 288 hp and 270 lb-ft of torque. Highlander: The Toyota’s 3.5L generates 270 hp and 248 lb-ft of torque. CX-9: The Mazda’s 3.7 L delivers slightly higher torque at 270 lb-ft of torque, but far lower horsepower at 273. Those engines are slightly less powerful than the Pentastar, but they’re drastically inferior to the available HEMI V8, which puts you in command of 360 hp and 390 lb-ft of torque. SUVs don’t just require strong engines beneath the hood in order to deliver a confident drive across the backcountry — they also need ample horsepower and torque to haul everything that Indian Head and Melville drivers require. In contrast, the 2015 Dodge Durango hauls up to 2,812 kg with the 3.6L Pentastar V6 or up to a herculean 3,265 kg with the 5.7L HEMI V8 when equipped with the Trailer Tow Package. You’ll enjoy tremendous capability even with the standard engine, while the HEMI’s maximum rating puts the Traverse, CX-9, and Highlander to shame. Indian Head and Melville drivers are probably already aware that the Durango sets the standard for off-roading. However, they’re often surprised just how much exclusive technology is available to make their drive more comfortable. Class-Exclusive Dual-Screen DVD/Blu-Ray Player: Screens fold down from both the driver’s and front passenger’s seat, allowing for two entertainment sources. Alpine Premium Audio System: Provides a crystal-clear driving soundtrack from 9 speakers, a subwoofer, and a 506-W amplifier. 8.4-Inch Touchscreen: Your Uconnect system is available with a touchscreen larger than any on offer with the Traverse, CX-9, or Highlander. The Dodge Durango reviews show that it stands apart from the competition, and it’s currently available at Knight Weyburn CDJR, enjoying pride of place in our showroom. To experience it for yourself, just come down today — we’re close to both Indian Head and Melville, and we hope to see you soon!